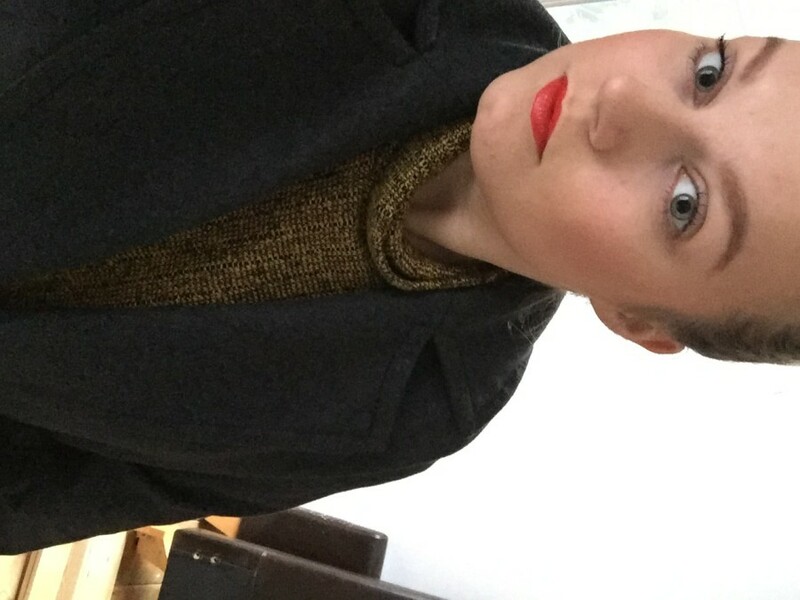 My boyfriend said that he likes this coat on me but I look a bit like i’m wearing my Dad’s coat. I’ll take that. 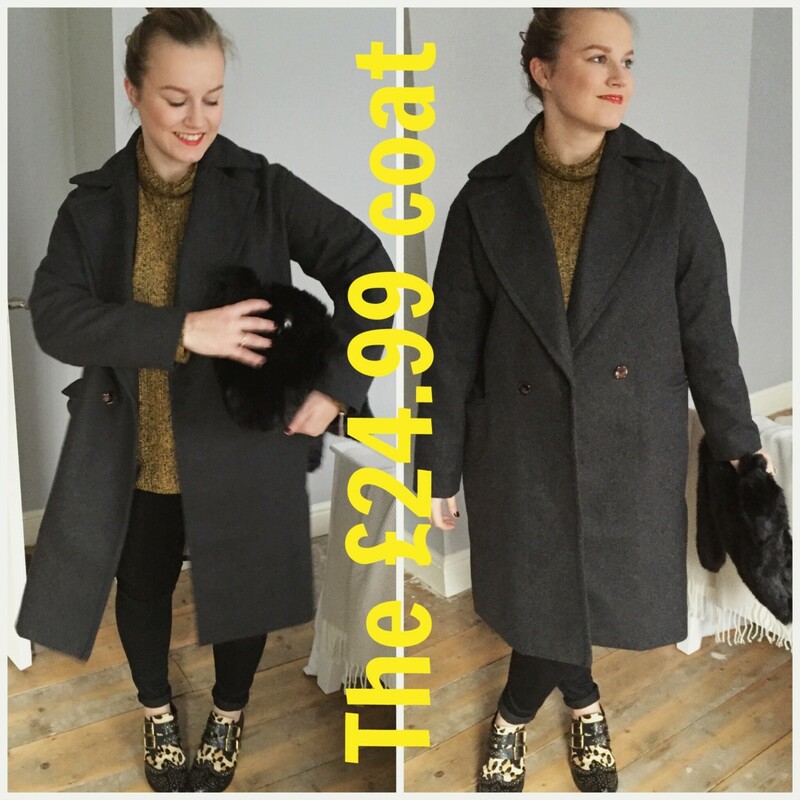 I first spied this coat back in September (for anyone with particularly beady eyes, you’ll have spotted it on my fashion wish list) and yes, because my current winter coat collection is so vast I didn’t dare by it. 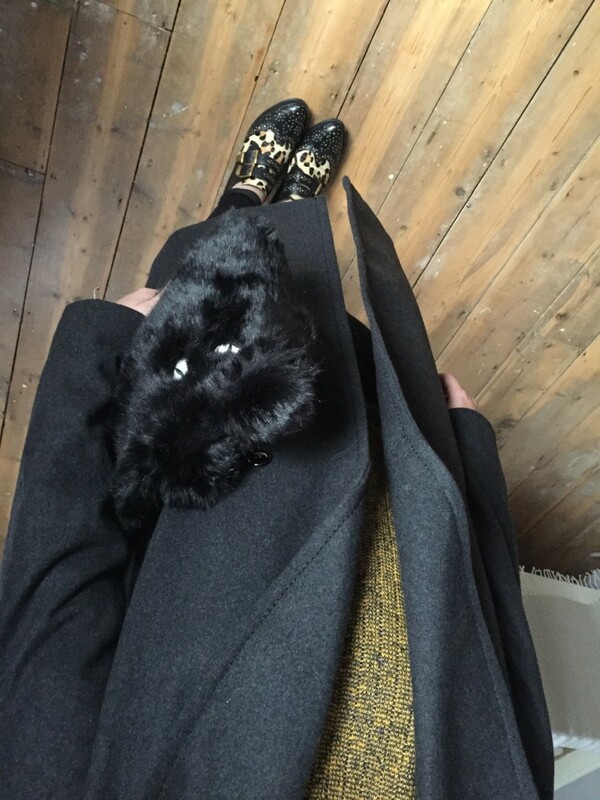 Why are winter coats the new shoes? In that we collect them until our wardrobes literally look like they might tumble under the sheer weight of leopard print, bright pink and leather? Eh? This H&M baby is £24.99 and as one PR friend who also owns it said: ‘It feels exactly like you’re wearing a dressing gown’, which, on a rainy November Monday is the absolute bloody dream. OK, so it might add a few pounds, but the deep grey shade goes with everything, looks incredibly chic, and hello, do I really need to go on? IT FEELS LIKE A DRESSING GOWN BUT IT ISN’T A DRESSING GOWN. 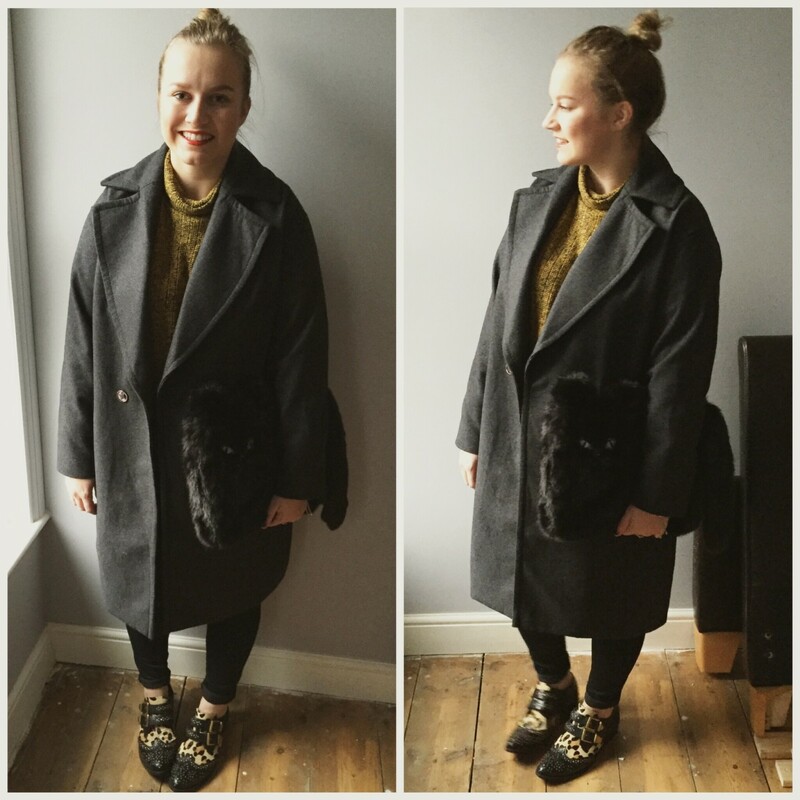 I’m obsessed and have pretty much abandoned the rest of my coats, which makes me feel guilty. Does anyone else ever get that? Where they feel really naughty for abandoning much-loved and pretty clothes when something better and newer comes along? Oops. 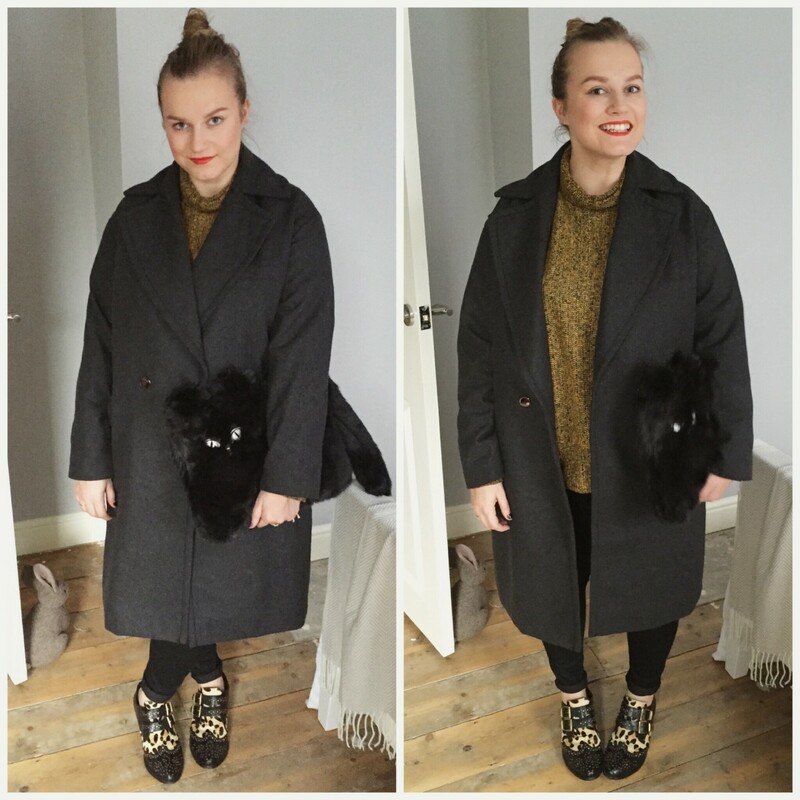 For this look i’ve teamed the coat with my new snuggly Topshop roll neck jumper. It comes in about six colours, but I opted for this golden colour because it’s the one colour I own pretty much nothing in – but it only cost £30. Which, for Topshop is actually pretty darn affordable. But yeahh, he’s cosy and I love him and i’m doing that thing where i’m really struggling not to wear him every single blasted day. FFS. 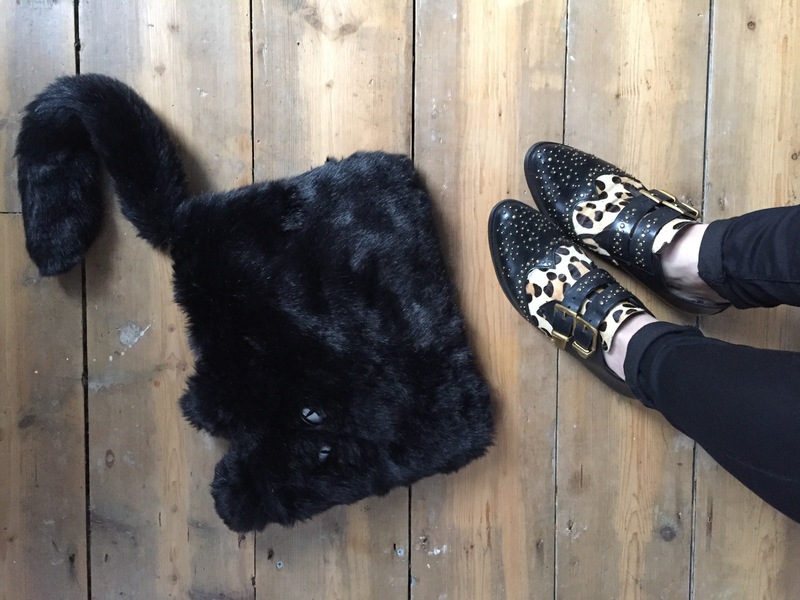 The rest of the outfit comprises black rolled up skinny jeans which are also Toppers (although they keep falling down and i’m left with back fat spillage and a saggy crotch, stylish), a faux fur cat clutch from New Look, because why the heck not, and a really old pair of Office shoes.